Okyeame Kwame is undoubtedly one of the most amazing rappers that have ever walked Ghana. He is just good and the current crop of artists have a long way to go to catch up with him. And Benedicta Gafah, the beautiful Kumawood actress is one of the most talented actresses in Ghana now. Her versatility ar role play is on point. And we all know she is beautiful right. Well, photos shared on the timeline of both artists have gotten people talking as to what is cooking between these two guys. The photos were obviously taken at an exclusive event which both attended, if not together. 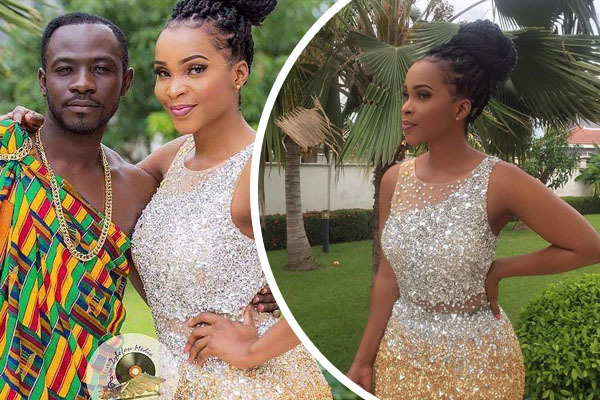 When Ghpage.com pushed to find out what was really going on, we found out Benedicta Gafah and Okyeame Kwame is working on a project with MenzGold Ghana. Okyeame Kwame rocked a Kente outfit whiles, Miss. Gafa looked splendid and a tailored dress that matches her skin.